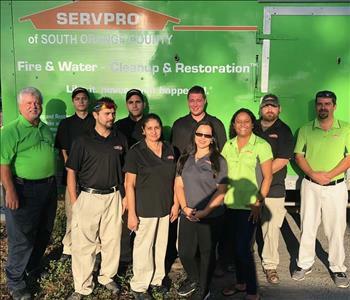 Tony is the President at SERVPRO of South Orange County. 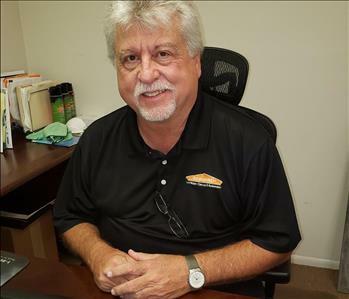 He has been a franchise owner for 8 years and before that he worked in the cabinet industry for 25 years. Tony is certified WRT and ASD thru IICRC, florida licensed mold remediator, as well as certified EPA lead renovator. Tony is originally from Memphis, TN. He later attended college and played baseball at LSU. He is married with 2 adult children. In his free time he enjoys playing golf and refurbishing golf clubs. We are here 24/7, 365 days a year to take care of any kind of loss you may encounter: from Bio Hazard to Mold to Water and Fire. We do it all from start to finish. We train every one of our SERVPRO employees to know the importance of great customer service and strive to always do our best! 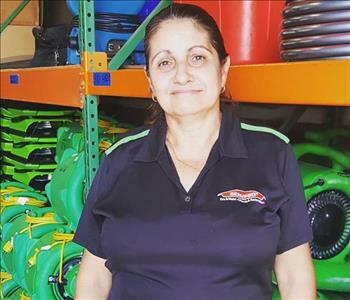 Magaly is the Warehouse Manager at SERVPRO of South Orange County. She has been with us for over 10 years. Magaly is a huge asset to our team. Her duties consist of inventory control, overseeing large cleaning and fire jobs, and much more. Magaly was born in Cuba. She is married with 2 adult children. In her spare time she likes to read, watch movies, and spend time with her family. Emergency Fire Damage Tips!! What to do?